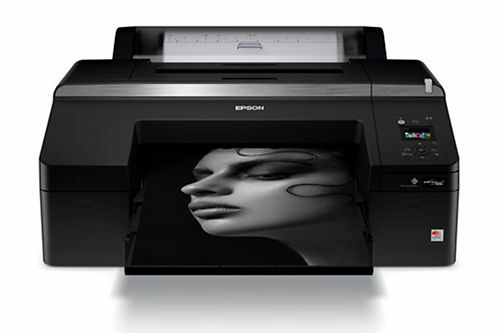 If you're looking for a higher volume machine than the wonderful Epson P800, this is the next step up. Cheaper to run because of the option of 200ml ink cartridges, and built on a more robust platform made for day in, day out work, this model subtly improves on the older 4900 in every way. In particular we're told it's much better sealed against dust for more reliable use in busy production environments, and that the paper feed for both rolls and sheets is better than ever. The SC-P5070 is a 17" Large Format Printer that is designed for premium photo, fine art, proofing & packaging design. It supports a wide range of standard and specialist media in roll and sheet formats. It features a PrecisionCore® Thin Film (TFP) head with Variable Sized Droplet Technology™ that enables the output of images in high resolution with superior fidelity and tonal gradation. It uses Epson’s latest UltraChrome® HDX all-pigment aqueous ink for accurate colour with an enhanced gamut, Dmax and image durability. The printer uses a 10 colour ink configuration with two levels of black, a choice of a third black or alternative Violet ink for outstanding colour and B&W prints with up to 99% PANTONE® coverage. An optional SpectroProofer (ILS30) is available for precision colour management and ISO standard proofing work. 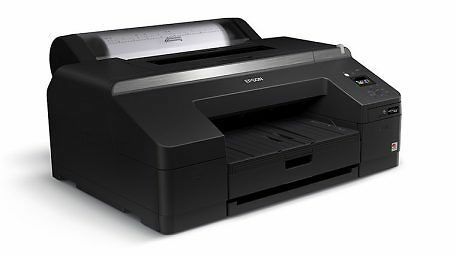 Hand curated articles, links and downloads to help you get the best from your Epson SureColor P5070 17 Inch Inkjet Printer.